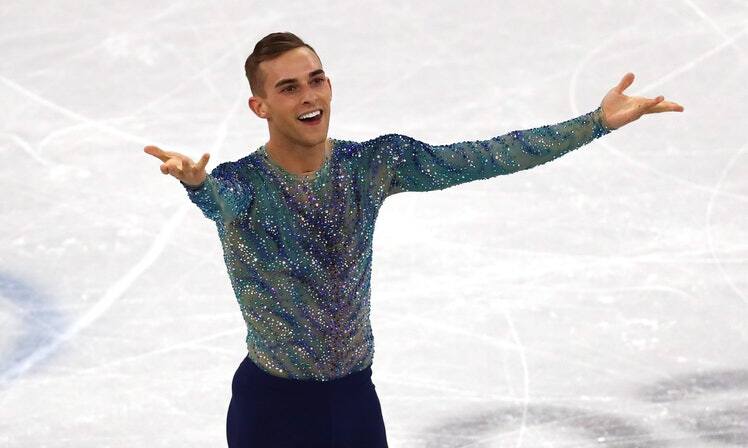 If you’ve been paying any attention to the Winter Olympic Games then you’ve heard of Adam Rippon. Bronze-medal winning Olympian, the 28 year old is Team USA’s first openly gay figure skater and overnight has stolen the hearts of millions. He’s sassy, he’s fierce, and he’s been all over our feed. From memes to his interviews, everything has been gold. How have we not heard of him before? He completed his final event on February 16th, but don’t think you’ve seen the last of Rippon. NBC is just announced today, February 18th, that he will be joining their team as a correspondent to cover the remainder of the Winter Olympic Games on their many platforms, including television and social media, according to NBC spokesman Greg Hughes. He is also hot on Youtube, appearing in a video with Milk from Season 6 of Rupaul’s Drag Race. Here he’s on the Today show eating Korean fried chicken. Even appearing in a video with Youtube sensation Tyler Oakley. Make sure you watch Rippon on NBC as he covers the remainder of the Winter Games and keep an eye out. I’m sure we have not seen the last of him. Let us know in the comments what you think of Adam and the Winter Games thus far. Today, Kehlani released the video to her new song Gangsta which was featured in the summer blockbuster Suicide Squad. The movie opened this weekend making $135 million, a new record for the month of August. The movie, if you haven’t yet, is a must watch! This song is so catchy that I’ve had it on repeat since last week. Check out the video below. Let us know what you thought about the movie and the song in the comments below or on Twitter using #GlamorousPaper. Since it’s Monday, we thought we would share some new music that we’re currently obsessed with. Here is a new song by Prince Royce featuring Jlo and Pitbull. We can’t help but start dancing every time the song comes on. Do you like the song? I can’t help but giggle because Prince Royce looks so young so it makes it odd to see him dancing with Jlo. Let us know in the comments if you think this will be a summer anthem!